Flicka: Country Pride gallops on to Blu-ray and DVD May 1st from Twentieth Century Fox Home Entertainment! 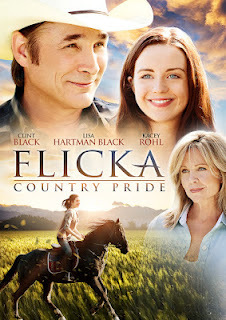 Flicka Country Pride is truly a Family Movie (inspired from the pages of Mary O’Hara’s popular novel My Friend Flicka). Directed by Michael Damian (Flicka 2, Marley & Me: The Puppy Years), Flicka: Country Pride stars country music superstar Clint Black (Flicka 2), Lisa Hartman Black (“Knots Landing”) and Kacey Rohl (“The Killing”) in a heartwarming adventure that my entire entire family enjoyed. In fact, my 5 year old son asked me to watch it again the next day! This family film has a great balance of beautiful horses, kids, teens, and parents that keep it interesting for the whole family. The Flicka Country Pride cast does a job pulling the audience into the story. I was fortunate enough to get to interview Lisa Hartman Black during my trip behind the scenes filming of Flicka 3 and to get to ask a few follow up questions after seeing the film. Me: I watched Flicka: Country Pride last night and I was really moved by the scene where Kelly (Kasey Rohl) starts jumping again because you just looked so happy and proud that I actually felt emotional! Did you use anything from your life for inspiration there? Lisa Hartman Black: You know, you just get emotionally involved in the film as you go and you put yourself into the role. Also I think just being a mom really deepens your emotions and has a huge effect on things. It’s very powerful. Me: What drew you to become a part of Flicka 3? Lisa Hartman Black: My husband, Clint was involved and then they offered the role to me. My daughter, Lily Pearl Black, asked if there was a kid part and it just all came together. The material was right and the situation was right because I could be with my daughter during the filming. I was very honored to be a part of the magic of Flicka. Me: How did you feel when your daughter was cast in Flicka: Country Pride? Lisa Hartman Black: Tounge tied and emotional. I was proud because she studied the lines and she did her part and it worked out beautifully because we didn’t have any scenes together and that allowed me to be there for her. Me: What were the challenges of filming Flicka: Country Pride? Lisa Hartman Black: Working with horses was new to me. They are so full of energy and majestic and powerful but also a little intimidating. 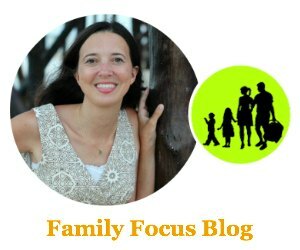 Me: As a mother myself, I have to ask, what is your favorite part of being a mother? Lisa Hartman Black: Lily is 10 right now and I love the age 10. She has one foot in childhood and one foot in adulthood. I am loving her communication. She is telling me everything and we have such a good relationship and trust. I tell her, “If you tell the truth, you won’t get in trouble.” The other night we watched Titanic together and afterwards Lily said, “I just love Jack and Rose and they just loved each other so much.” I remembered watching Westside story when I was close to her age and the love story parallel and it was so fun to be able to share that with her and have open dialouge. I am thankful for Lisa Hartman Black taking the time to let me ask her some questions and for sharing her personal experience as a mother. (She was so gracious and personable, I just adored her!) I am also thankful that 20th Century Fox allowed me to get behind the scenes and to view Flicka: Country Pride early. I totally recommend this film as a fabulous family film to watch! !